Shetland lies 600 miles (960km) North of London. More than 100 islands, just 15 of them inhabited, span the 100 miles (145km) between Fair Isle and Out Stack, the northernmost point in Britain. Most famous for its ponies, distinctive "Fair Isle" knitting patterns and Viking links. Visit Shetland at any time of year and you'll be enchanted by the rugged beauty of the landscape, its dramatic changing colours and textures will take your breath away. The tranquil location will ensure, whether you are on holiday or business, that you have a peaceful, relaxing break. Enjoy watching the visitors, including over 50 majestic cruise ships, to Lerwick Harbour pass in Breiwick Bay or survey the rabbits and other wildlife going about their daily antics in the garden. You may even see a pod of killer whales swim past! Because Shetland lies closer to the north pole than any other part of the British Isles, it’s the best place to see the ‘Northern Lights’ or ‘Mirrie Dancers’. In general they are most likely to be seen between mid-October and mid-March, avoiding times when there is a full moon. Why not combine a visit with one of our unique Up Helly Aa fire festivals (held annually throughout Shetland between January and March), wonderful walking, wildlife watching, leisure facilities and some great food. From mid-May to mid-July, the "simmer dim" (summer twilight) is fantastic, when the sun only dips below the horizon for a few hours. In fine weather this can bring the islands almost 19 hours of sunshine a day. The bustling archipelago of just over 23,000 people boasts abundant wildlife, a spectacular coastline and dozens of major archaeological sites. Whether arriving for the first time or returning, you can be sure of a great welcome. 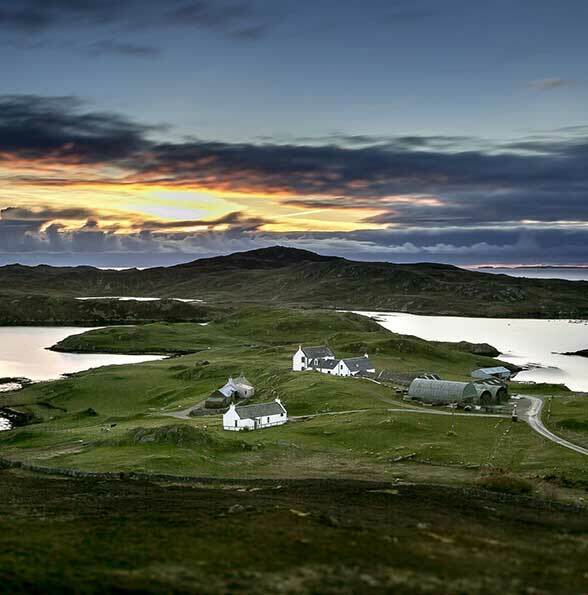 Brekka Lodge is a fantastic base for enjoying Shetland's abundance of wildlife due to its geographic location. Situated midway between the UK and the Arctic, Shetland is on a migration flyway. Large numbers of birds pass through the islands on their migrations to and from the Arctic. Several species stop off to feed, and the island's position also attracts many vagrant species from North America and Asia that have been blown off course. 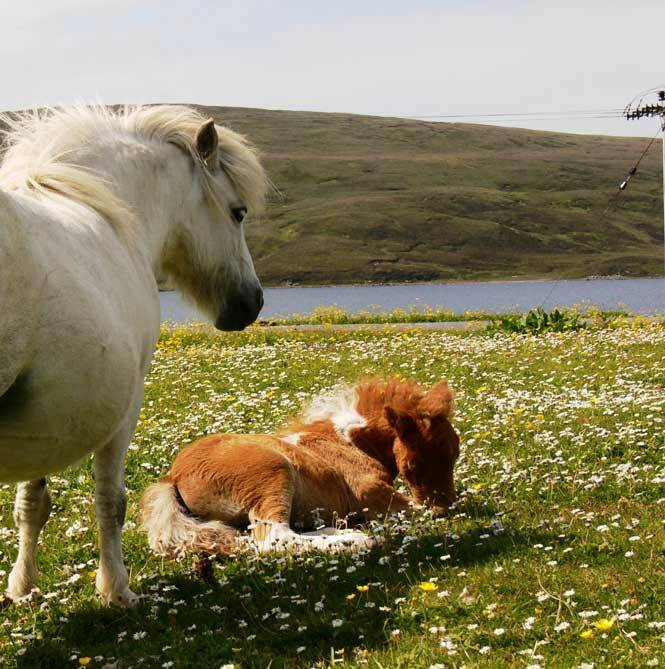 As a result Shetland is renowned as a rarity hotspot which also incurs a human migration. Many of our visitors boast about the nature on the doorstep, with the beaches, coastline and loch being firm favourites. With beautiful beaches only a stones throw away, you can watch gannets diving for fish from the lounge window. You may even be lucky enough to spot the local shy otter who has been seen two feet from the property and often on the shoreline closeby. The number of rare bird sightings in Fladdabister, Ocraquoy and Cunningsburgh showing why our Shetland self catering property is popular with bird watchers. Book now for a Spring or Autumn break in the hope of finding some of these rare stragglers.